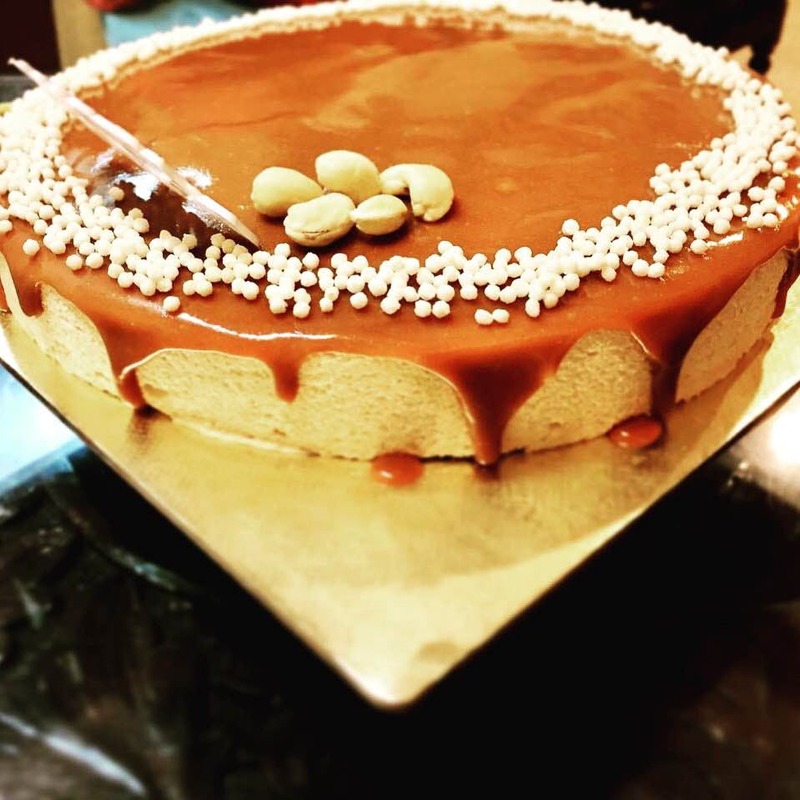 Golden Chantilly is a Goa-based home bakery, managed by Ericka Fernandes. Named after the Northern French town, Chantilly, this bakery patisserie specializes in frozen French desserts. Ericka, a former PR professional, went full-fledged into confectioneries, early this year, and has up till now launched four variations – Cajo Verrine, Noisette, Caramel Entremet and Signature Dome. ‘Signature Dome’ has been created with much love and hazelnut. The ‘Cajo’ Verrine is a classic combination of caramel and chocolate that blends flavours of salted caramel with cashew, topped on a creamy chocolate cremeux. The ‘Noisette’ is constructed with a hazelnut praline cremeux, placed on a petit gateau that embodies the crème anglaise. And lastly, the 'Caramel Entremet' sits on a whipped chocolate ganache and a caramelized hazelnut sable. Ericka tries to incorporate a little gold into each of her desserts to symbolize elegance and some Chantilly, which is whipped cream to make it frosted and fluffy. Golden Chantilly, is a new concept to introduce French bakes in Goa. The desserts are price around INR 150 to INR 180. You need to order three days prior, as each one is carefully prepared, by each layer, to lend its own unique flavours. Delivery is available in North Goa whereas elsewhere, you would have to arrange for a pickup. Follow Golden Chantilly on Instagram to place your orders or call her on 7709426013.